Fourteen gates, of which gates number 2, 4, 7, 10 and 11 needed to be negotiated upstream. This section of river is quick and wide with a short course making it a real challenge for the youngsters. Youth Women were the first to start and up to gate 6 everything tended to go fine. Some then chose to ignore upstream gate 7 so as to be able to reach 10 and 11, but crossing from gate 9 to the upstream gate 10 was a challenge, and from 10 to 11 even bigger. In the first run Russia and Japan had the least penalties. A much improved second run and the first place went to Russia, the second to New Zealand and the third to Indonesia. The Youth Men were stronger but with many penalties too. The best run in the first round went to Russia, then Indonesia and Japan, worst was Turkey with 275 penalties. But Turkey came back firing on their second run to clinch first place, with just 10 penalties, Great Britain second and Russia third. Junior Women showed more experience and had more power with the result of less penalties, but still quite a lot. Again, skipping gates brought some teams more penalties but faster times. Many teams were preparing their rafts for negotiating the next gate by entering a gate backwards so as to be pointing in the right direction on exit. The Czech team was fantastic during the first run with just 25 penalty same as Great Britain who had a slower time. The second run saw the Czech’s improve their time and slightly increase their penalties, but in a time of 04:06,25 they secured first place, and second place for Japan followed by Russia. In the Men’s Junior category the penalties were similar but the best run of the day went to Russia with the fastest time of 02:53,71 and only 5 seconds in penalties. They were nearly 9 seconds faster than their nearest rival! Second place went to Argentina (host of the 2018 World Rafting Champs) and third to New Zealand team. The third day of the IRF’s 2017 World Rafting Championship dawned sunny and warm, splashing the countryside with a lovely light as the Open and Masters teams prepared to tackle Slalom. The course had 14 gates, of which gates 2, 4, 7, 10 and 13 were upstream, the rest downstream. In addition to having paddling skills, teams also needed climbing skills to do their scouting as the river banks were strewn with very large boulders. 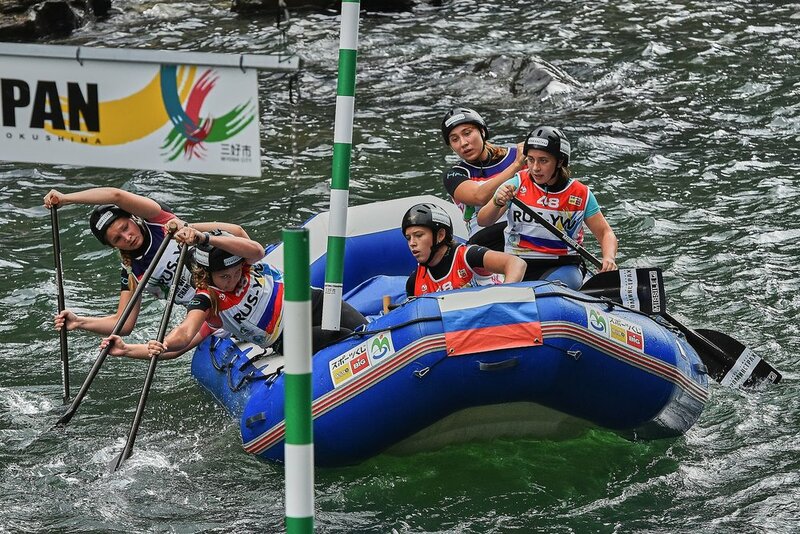 In the beautiful Koboke Gorge, with mountains covered with breath-taking forests, the Yoshino River makes its way down and produced a great course for today’s slalom. Today was free for the Youth and Junior teams who could use it by visiting one of the most famous temples on the island, there are 88, and this is the Unpen-ji Temple, No.66 – The Temple of Hovering Clouds, nearest to us. The unique feature is the 300 rakkan (arhats), which are all unique (no two the same). The second most frequent destination among rafters was the 45 m long Vine Iya Kazura Bridge. The legend behind this extraordinary bridge was started when Heike refugees were defeated by Genji (Minamoto family) in the 1185 Gempei War. Yesterday the Open and Masters had a chance to be tourists and relax. Since the Slalom training day where some flips and swims were seen the river has dropped and so simplified things a little. Gate 10 was a hard one as it was upstream on river-left, but if you did not get into the eddy high enough you would be swept passed Gates 11 and 12 so receive 150 seconds penalty! For some teams it was better to skip it, but for the top teams they had to try if they wanted to win. The Master’s Women all had trouble with gate 7, which was an upstream gate on river-right. Only New Zealand made this gate, on their second run, but then they unfortunately missed 10, 11 and 12. The final top 3 was Czech, Japan, New Zealand. The Masters men tended to have trouble at the upstream gate 10, except for Czech, Brazil and Japan who had clean runs in the first round, with Costa Rica only getting a 5, a great run by them. Czech had another great second run with only 2 touches, but Japan’s first run was faster than theirs so they had to settle for second. That path from gate number 7 across to 8 foiled Brazil. Their first run was still good enough for third. In their first run the Indonesian Open Women hit a rock and one competitor lost their balance and swam, but she managed to get back on fast, dug in the paddle and continued on. Some teams struggled with gate 7 which could then cause them to miss or touch gates 8 and 9. Gate 8 had a tricky wave after it which could knock the raft off course. The Italians did a great job at gate 8. The first run is always difficult and so mistakes are, ideally, corrected in the second run. All praise goes to the Japanese team that achieved only 15 seconds in penalties, the lowest, but the speed of Great Britain was enough to secure them the win with Japan placing second and New Zealand third. The Open Men were the last to go and generally there were less misses which was logical because they are more powerful and can fight harder against the fast and powerful river. But there were still teams who would have expected to do better but unluckily had two bad runs which would have disappointed them hugely. Mongolia had a steep learning curve on a river that is far bigger than what they are used to. Experience they will bank for future like UAE have done, they achieved a respectable 14th out of 17, great for a newish team against tough competition. It was the ever dominant team of Brazil that took the win, with hosts Japan in second and Czech in third. The locals turned out in good numbers to support their teams who were represented in all the categories and the teams enjoyed their cheers and encouragment. Another great day is behind us, with rafts being paddled down the river and then flying back to the top over everyone’s heads via the flying-fox. Medal ceremonies were held at West-West for Sprint, H2H and Slalom for the Open and Masters. Tomorrow is the last day of the competition, reserved for Downriver for all. And then it will be the closing ceremony in town. We will have live streaming again of the Downriver and Ceremonies, so stay with us. This interaction may involve anything from competing at the World Championship level to being part of a local grassroots event in your home town. Or it could be that once-in-a-lifetime experience of going on a commercial raft trip locally or around the world, whether it be for 1 hour or 16 days. 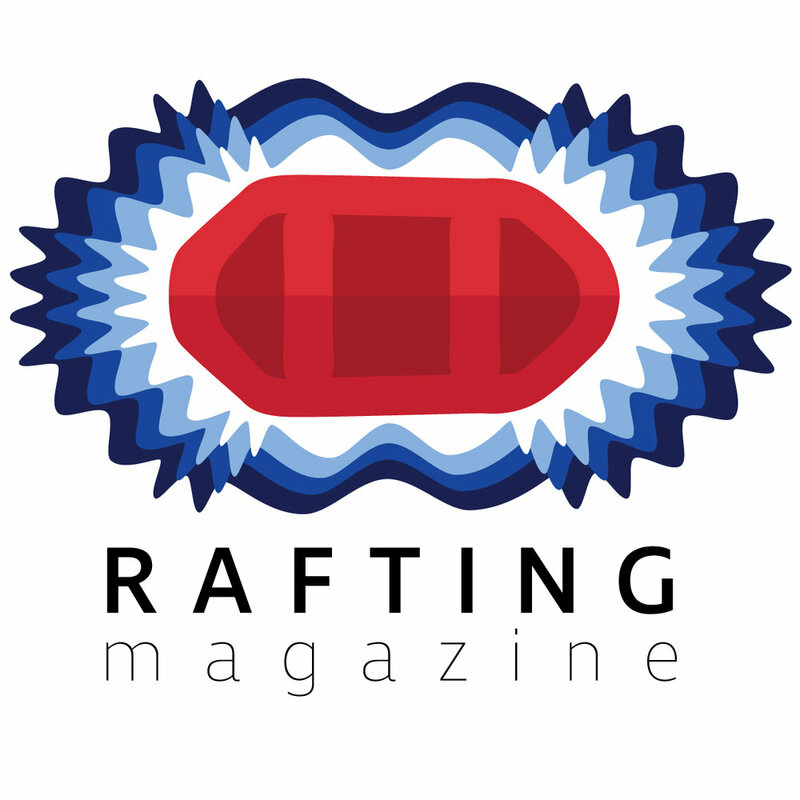 The IRF is in the forefront of raft safety worldwide. Through our various courses and certifications, we can ensure a global standard of guides while continually evolving raft techniques to keep everyone safer. The IRF is also about the environment and conserving the rivers we raft. It’s about educating others to ensure the sustainability of our rivers. The IRF is about bringing rafters together, from the most experienced guide to the new enthusiasts on their first trip.